This is my second collaboration and I have to say that it's kind of huge! Because the Villains play an important role in every movies! Believe me, a movie would become less fascinated if there is no Villain at all. In Disney movies, especially their animation movies, the antagonist character was created so uniquely and even has an unusual look. That's why Disney even made a movie filled with the Villains (the tittle of the movie was Mickey Mouse's House of Villains). 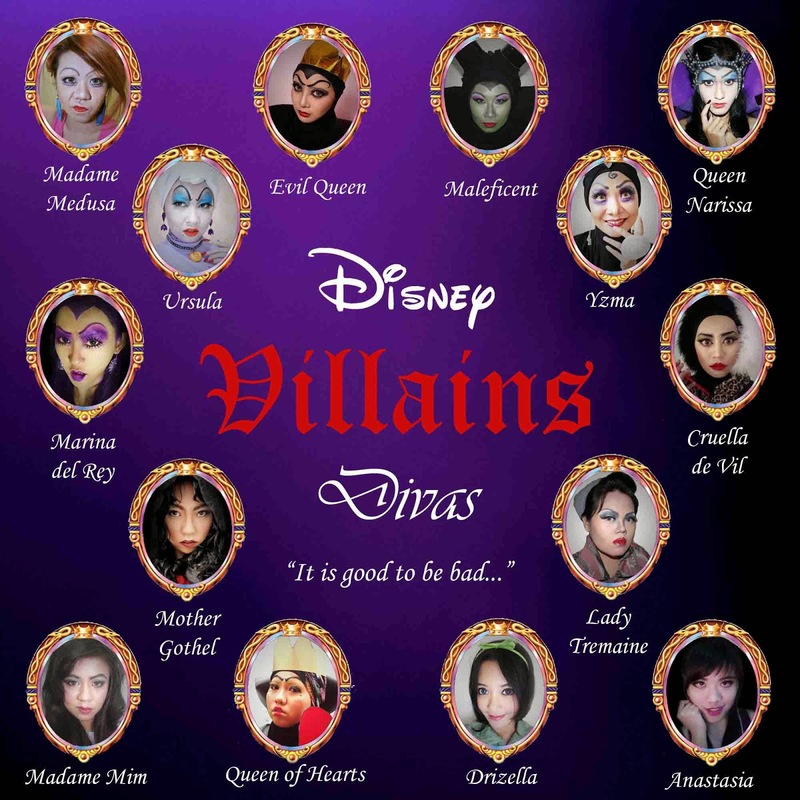 Also that's why we create the Disney Villains makeup collaboration. Please do check all the beauty bloggers through the links bellow, I order the characters based on the banner of the collaboration so it will be easier for you to find which character is recreated by which blogger. Speaking about who am I.. 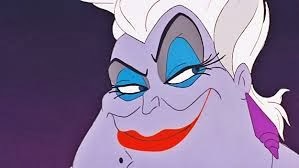 The ultimate Villain in Disney's Little Mermaid movie..
Do you want to be Ursula or just to look like her? To complete her look I made a necklace and a pair of earrings. The pendant of the necklace was made from flour based clay. 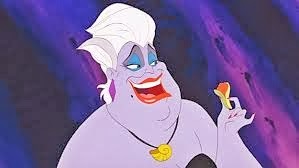 I actually want to made the earrings out of clay too, but I just didn't know how to create shell shape like Ursula's earrings. So, I made the earrings out of beads and wire. 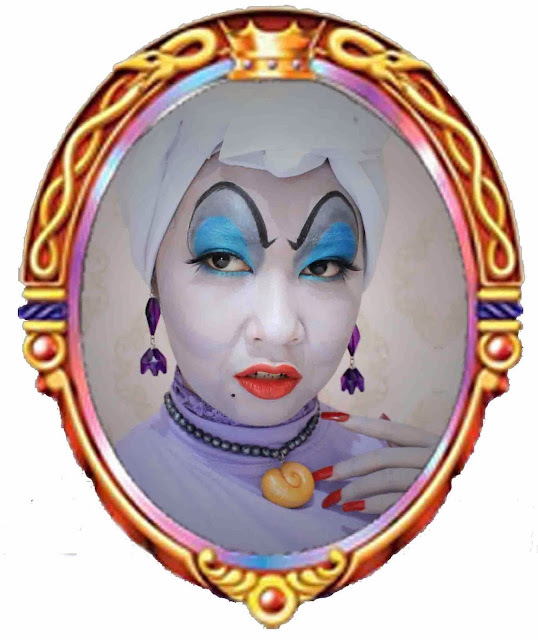 I hope you like it and I hope you can create your own Ursula look too. Iya lhooo dhil bener kata lia, hijabnya kereen bisa mirip banget sama si rambut ursula..
Btw, alis mu ya dhil.. nggak kukuuuuh aku lihat nya..
aku masih butuh banyak latihan pakai hijab sebenarnya..
iyaah aku pakai fake nails karena kuku asliku kurang cetar buat jadi villain..
huooo dilaaa keyeen!!!! warnanya bagus de, mirip bgt sama ursula asli!! sumpah kak! Keren banget make up nya.. 0_______0 boros make up gak sih?